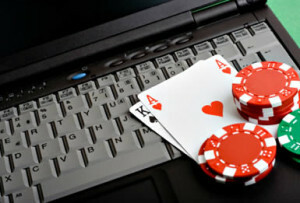 Most of the speculation surrounding New York online poker has been centered on regulations and laws. However, it is important to consider which site could operate within state boundaries once the games are legalized. Based on online poker laws in other states, we can predict that New York iPoker operators will be partnered with brick and mortar casinos. This provides extra stability to operations and gives casinos the opportunity to cross market their live and online brands. Below we have listed some of the online poker sites that you can expect to operate within New York once online poker is legalized. We’ve also provided preliminary reviews of each site and what you can expect to find on each. PokerStars is known worldwide as the standard bearer for online poker. The company has not operated in the United States since 2011 but is currently applying for a license in New Jersey. Should they reenter the U.S. market, they will quickly become a force in the online poker industry. PokerStars offers one of the most comprehensive spreads of online poker games in the industry as well as the largest online poker tournaments. Should the site open in New York, expect events themed specifically towards New York players. As online poker expands in the United States, these events could become interstate events with larger prize pools. PokerStars is known to offer generous rewards and promotions to their players and New York should be no different. The site knows how to run a solid product and generate player loyalty, something that will help it become the top site in New York. Click here to read our review of PokerStars NY. When PartyPoker decided to withdraw from the U.S. market in 2006, many in the international online poker community considered the move ill-fated and expected the company to become a minor player. Fast forward to 2013 and PartyPoker made their triumphant return to the United States market when they opened shop in New Jersey. Since that time, PartyPoker has remained of the top sites in New Jersey and is poised to make a similar move in New York. PartyPoker’s strength has always been their spread of online poker tournaments, events that carry daily guarantees of $25,000 or more in New Jersey. If the company operates in New York, expect similar guarantees and superior promotions that will rival other sites. You can read our review of PartyPoker NY here. Full Tilt has completely rebounded from the problems that plagued the company after Black Friday. Now owned by Amaya, Inc., Full Tilt has risen back to prominence and is the #6 online poker site in the world. Full Tilt has been a solid competitor with PokerStars for years and many innovations in the game have been a result of the PokerStars-Full Tilt Poker rivalry. Rush Poker, the fast fold poker variant now enjoyed by players worldwide, was first developed on Full Tilt Poker and later copied by most sites, including PokerStars. Full Tilt has historically been the home for both high stakes online poker players and non-Hold’em players. Where most sites focus on Texas Hold’em, Full Tilt focuses on poker as a whole. This has made the site a solid alternative to PokerStars and other online sites. Click here to learn more about Full Tilt in New York. WSOP.com is the #1 online poker site in the United States. Currently operating in New Jersey and Nevada, WSOP.com has succeeded due to brand recognition and successful integration into the World Series of Poker. It’s no secret that the integration to the WSOP has kept their online poker site at the top of the industry, but integration alone isn’t the only reason for player loyalty. A solid online poker client along with generous rewards and promotions gives players reasons to keep coming back. In addition, WSOP.com offers some of the best tournaments in the industry. During the summer, WSOP.com is the primary source for satellites to bracelet events and seats into the World Series of Poker Main Event. Should WSOP.com operate in New York, players can expect a world-class poker experience with opportunities to play in some of the world’s richest poker events. Another point to consider are interstate compacts. Should New York legalize online poker and move forward with interstate compacts, WSOP.com would become a frontrunner for such a deal. With operations in New Jersey and Nevada, they would be able to bring into two fresh player pools almost instantly. A combined three state player pool could even rival non-regulated sites facing the United States such as Bovada. Our review for WSOP.com New York can be found here. The potential dark horse for New York online poker is Pala Poker. PalaCasino.com is currently operational in New Jersey under a license with the Borgata Casino. They are the only legal gambling site in the United States operated by Native Americans. The Pala Band of Mission Indians of California are the owners of PalaCasino.com. When they originally opened the site, a banner for Pala Poker was listed as “Coming Soon.” The tribe revealed that they do have plans to operate online poker in New Jersey, which means they could be a potential player for online poker in New York. The Pala would be an excellent fit for New York due to the fact that over half of the casinos in the state are run by Native Americans. It is unclear whether they have the capability of running a network of sites, but don’t be surprised to see that possibility floated in the future. Since Pala Poker hasn’t officially opened their doors in the United States, we’re unclear on what they will offer. Based on their casino in New Jersey, we can speculate that the Pala will offer some of the more unique promotions for New York online poker players.